After what seems like an eternity, Ireland will finally play in another qualifier on Saturday evening. The Boys in Green have not played in a qualifier since the World Cup play-off defeat to Denmark in November 2017, with the last calendar year only consisting of UEFA Nations League and friendly games. There have also been major changes to the squad, both in terms of management and playing personnel. Mick McCarthy will step back into the fray this weekend, but who should be part of his starting team? Considering who is available for this set of games, this is the formation which best suits the team. It allows us to include players in positions where they are thriving at club level, and resolve some of the key positional battles in the squad. Randolph is enjoying arguably the strongest season of his career, topping the clean sheet charts in the Championship. He is miles ahead of the other players vying for this spot in the team. Does this solve the key selection issue? Matt Doherty has been perhaps the best right back in the Premier League this season, and has to be in the team. It is equally difficult to drop Coleman, even if he has not been at the top of his game in recent months. This is a fair compromise. While Coleman lacks some of the pace and attacking drive he had earlier in his career, he is still an excellent defender. He should be more than capable of thriving in this role, considering he has two experienced defenders alongside him. The Everton man would also be a fantastic ball playing defender from this area, something Ireland have lacked in the past. Duffy was recently named Ireland's player of the year for the second season running, and he is perhaps the first name on the team sheet at the moment. Playing in the centre of the three, the 27-year old will be the leader of the defence. Egan has thrived as part of a back three at Sheffield United this season, and deserves to be in this team ahead of Richard Keogh and Kevin Long. While he plays is the middle man in The Blades' defence, he will slot in comfortably to the left of Duffy in this side. Playing in the same role he has at Wolves, Matt Doherty could be a key player for Ireland in the upcoming campaign. While McCarthy has hinted that he and Coleman can't fit in the same team, this is the ideal way for the pair to play alongside each other. Ireland have lacked creativity in wide areas for a number of years now, something Doherty can certainly provide. His defensive duties, while still hugely important, will also be lessened in this system. Like Egan and Doherty, Stevens has been fantastic playing in a 3-5-2 system this season. Just as Doherty will on the right flank, the Sheffield United man will be a fantastic attacking outlet on the opposite wing. He can also continue his partnership with Egan at international level, and that familiarity could be vital considering that the games will come thick and fast over the remainder of the year. Arter has been inconsistent in an Ireland jersey, but he deserves the chance to claim a starting berth under Mick McCarthy. He has enjoyed a fine season at Cardiff, and provides plenty of steel to the midfield here. He won't shirk a challenge, and is capable of getting the ball moving in the middle third when required. McCarthy may be tempted to go with Glenn Whelan here, but Arter is the higher upside choice, as well as being arguably a better fit in this team. 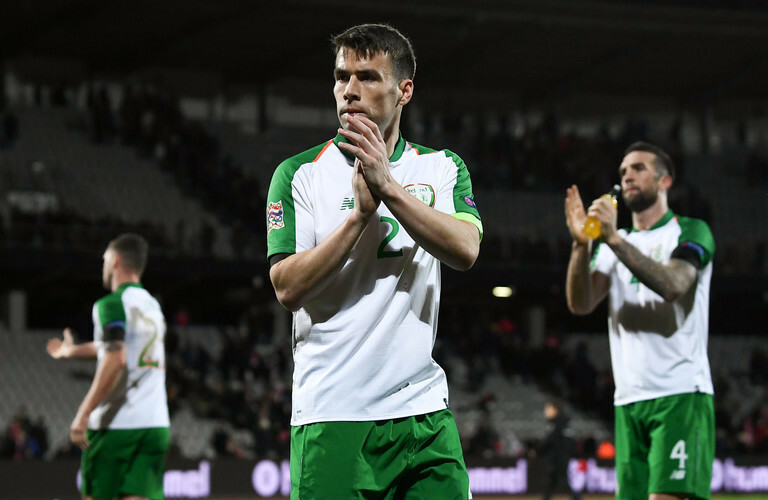 Hendrick did not enjoy a good 2018 for Ireland, but there are signs he is in better form heading into the Euro 2020 Qualifiers. He has been consistent start for Burnley during their excellent run since the turn of the year, putting in a number of strong displays. 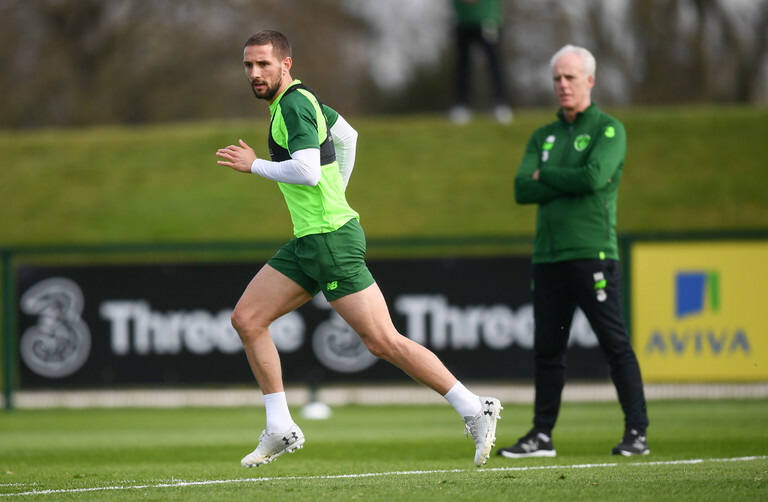 While he played a number of different roles under Martin O'Neill, a box to box role in this side should allow him to make the most of his engine and playmaking abilities. The final midfield spot in this team is very much up for grabs. Whelan does not really fit in if Arter is in the holding role, although the Cardiff player could be pushed further up the pitch to accommodate him. Robbie Brady has never really convinced in a central role (Euro 2016 aside), while it would be a big step up for Jack Byrne. That leaves Hourihane, who has played very well at times for Aston Villa this season. He also has the added bonus of a killer set-piece delivery in his locker, something lacking amongst other members of the starting team. Maguire is hitting form just at the right time heading into this campaign, putting in some excellent performances for Preston in recent weeks. He has yet to get a real run in the Ireland team, but now feels like the perfect time to kick his international career into gear. What a few months it has been for David McGoldrick. 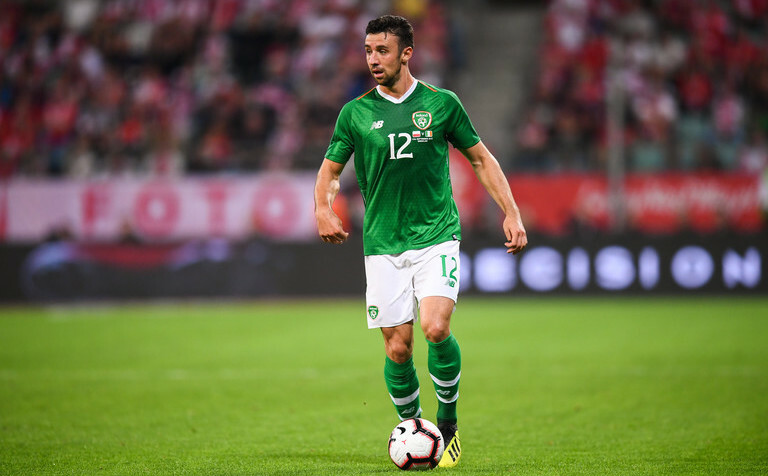 His prospects of winning any further Ireland caps seemed non-existent not so long ago, but he has played himself into contention by netting 12 league goals since his move to Sheffield United. He compliments the hard-working, run in behind nature of Maguire perfectly, and is a man in form. McCarthy knows him well, and he could be a key source of goals in this campaign. So there you have it. This team is well-balanced, allows us to include all the form players in the squad, and puts them in positions where they have thrived at club level. Including Coleman, Doherty and Stevens is a must, and this is the bet way to do that. The midfield is solid and is well capable of keeping the ball, while the strike force consists of two in-form players who compliment each other perfectly.